Allow me to begin my opening statements with a question. What, in your opinion, is the difference between sales and marketing? After all, both sales and marketing have the same ultimate goal, to encourage you to buy/use/adopt a product/concept/service, right? 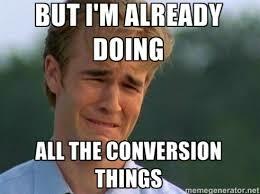 I mean if marketing does not lead at some point to a conversion, isn’t it a failure? So what is the difference? Think about it before proceeding, would love to know your opinion. OK, now for my opinion. The difference is the subtlety by which your message is delivered. For example, if I am selling you a pen, I will say, whether on the phone, in person, or somewhere else, “Here is a pen, you should buy it.” I may use different language and tactics to say that, but ultimately, that is what I am saying. If, however, I am marketing that pen to you, I might talk about the value of the pen, or if I am marketing the way one should market in 2014, I might direct you to a blog post I wrote about pens, where they were ten years ago, where they are today, and where they are headed tomorrow. I might answer any question you have about pens, and I might even bring you on a tour of my pen factory. At no point will I aggressively or directly sell you that pen. You will hopefully make that decision yourself. There are of course other differences between sales and marketing such as the length of the cycle. Marketing generally takes longer to achieve “ROI” whereas a sale can be made in 30 seconds on the phone. But subtlety, that is, in my opinion, the foundation of every good marketing campaign I have ever seen. 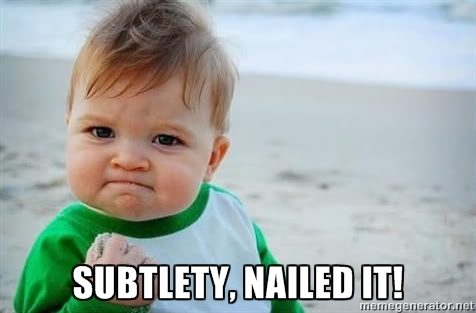 When someone retweets you, or your company’s content, that is a fantastic feeling. 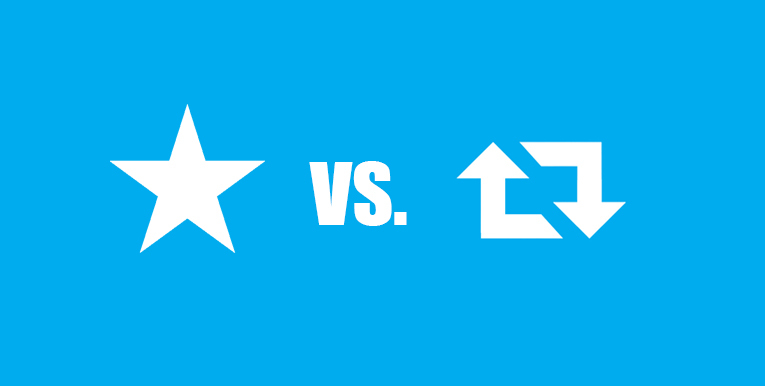 It provides validation, it increases your amplification, and if that person has a large engaged audience, their retweet can boost your distribution significantly. You realize what that means, right? It means if you want to increase visibility for your brand or get on the radar of someone, retweeting them will do the trick, right? Well, yes, there is only one problem. Like all good things, this tactic has been used and abused to the point that it no longer works. Retweets are cheap and they have turned into the salesman that no one really likes. You know who has become the hot shot marketer that everyone loves being around and learning from? The favorite. 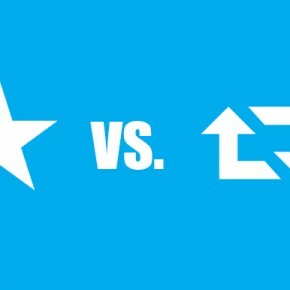 You know, that button on Twitter that lets you save tweets for later and notifies the person who tweeted that his/her tweet has been favorited. “How is this clown going to convince me that clicking a button that no one knows I clicked is a marketing tool?” Fantastic question. Remember what we talked about above? Subtlety, my friend, is the name of the game. Allow me to tell you a real-life story that happened to me a while back. A company I advise from time to time reached out to me a few months back. Their direct competitor was acquired by Apple. The first thing Apple did after the acquisition is disable the service for other platforms like Android. Now this company I advise offers their service for Android. So they reach out telling me there are hundreds of tweets right now on Twitter from Android developers asking what service they can use instead of the one Apple acquired. You see, the CEO of the company could have replied. He could have sold. He could have retweeted. But, in most cases, that would have been viewed as a shameless plug of self promotion instead of an objective answer that this person was seeking. Instead, he got a ping that this company he had never heard of acknowledged his question and made a conscious decision NOT to sell. What do you think the first thing he did was after getting a notification of the favorite? That’s right. He clicked on the profile of the company to see who they are and what they do. And the rest is history. 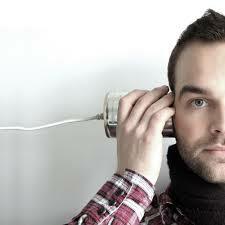 Listening is the new selling! If you want to get your message out, be subtle. Listen. Don’t sell. 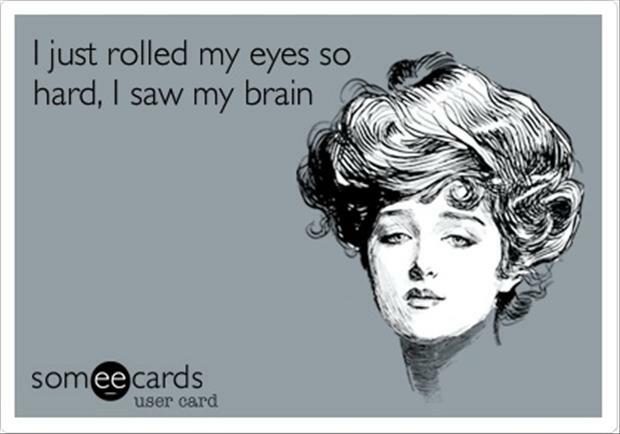 Provide a virtual head nod. Let your product sell itself. Favoriting a tweet is used by different people in various ways. I favorite monumental tweets to show them later in lectures that I give. I favorite a tweet if it has a link I want to read but don’t have the time right now. I favorite a tweet if someone says something to which I have no response but want them to know I saw it. That is part of the genius of Twitter. Everyone can use it as they see fit. Having said that, if you use it as a sales platform, you are missing out on 98% of its power and potential. 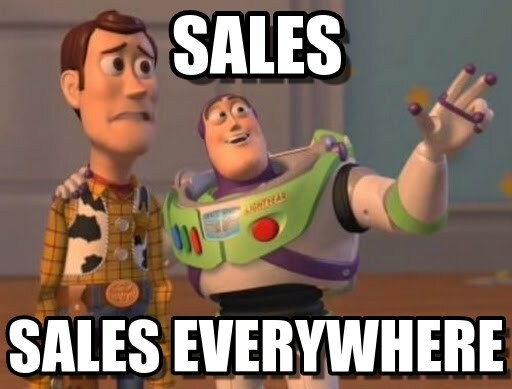 Repeat after me… Twitter is NOT a sales platform. Twitter as a listening platform is significantly more effective than it is as a broadcasting mechanism. Monitor competitors, listen to what people have to say about them, search for certain keywords relevant to your niche, and pay close attention to what the market is saying about your space in real time. As far as marketing is concerned, the feeling you can give a customer, or potential customer by simply letting them know that you are listening and you heard them is like nothing you can ever achieve with traditional marketing. 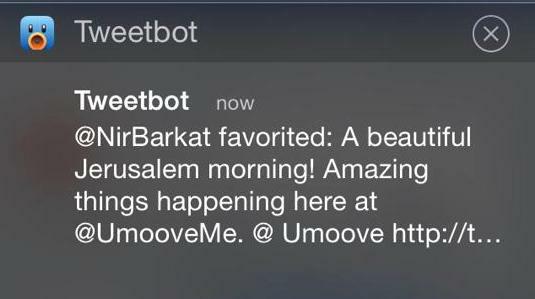 Just think how I felt when I tweeted about how much innovation is going on in Jerusalem and got a favorite by non-other than the mayor of Jerusalem, Nir Barkat. One favorite and he has acquired me as a fan/supporter forever. Get it now?